Just in time for the Christmas entertaining season, KitchenAid has made culinary dreams come true with its 13-Cup Architect Series Food Processor featuring the ExactSlice™ system. 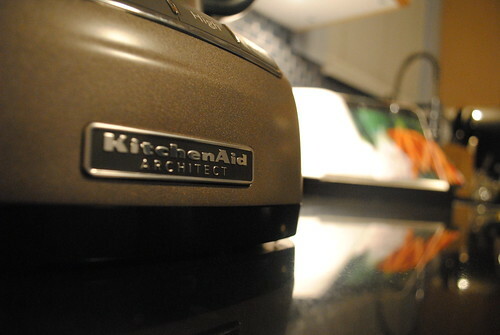 To showcase the incredible things this machine can do, KitchenAid provided me with one of their new food processors. After unpacking the box with the food processor and its myriad of accessories, intimidation instantly set in. This food processor is big (as in probably bigger than my head). The manual is thorough and helpful but there were blades and egg beaters and bowls scattered across the length of my counter top. After pouring a glass of leftover birthday wine from the previous week, I washed the parts and started to assemble the food processor. 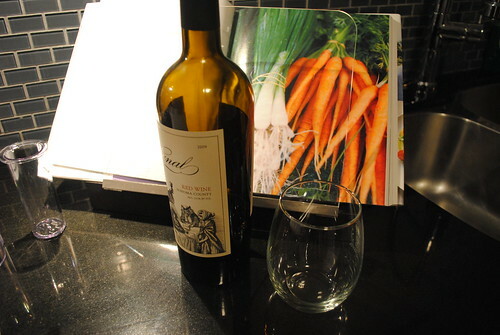 My first attempt would be using it to chop vegetables for vegetable stock – a must-have in my freezer over the winter months. 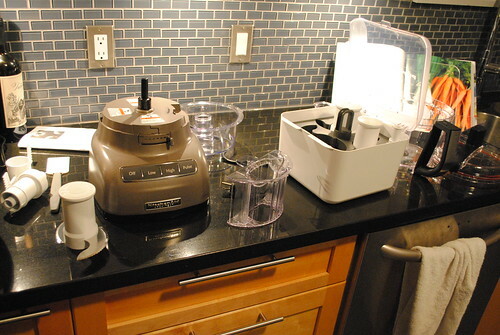 Despite its many parts, I had the food processor figured out and assembled within only a minute or two. 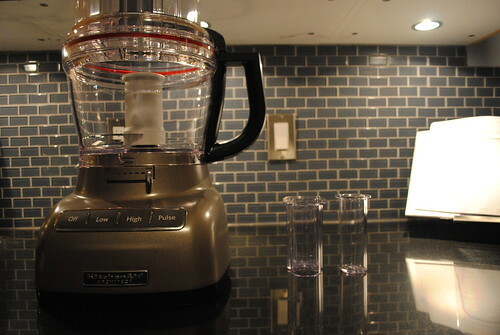 Most of the pieces snap into place and safety measures taken by KitchenAid ensure that the system won’t operate unless every piece is in its proper place. The KitchenAid 13-Cup food processor comes with three rotary blades as well as an egg whipper, dough hook and multipurpose blade. You can slice, dice, julienne, chop, puree, mince and even shave ice for frozen festive drinks. The ExactSlice™ system allows the user to also adjust how thick or thin the slices are, a system I probably should have made use of last night. There’s nothing like a new appliance to make me feel like a rookie in the kitchen. Being practical, I chose the multipurpose blade to chop vegetables for my stock. I ended up with minced onion and chunks of carrot and celery. The ExactSlice™ function with the slice blade would have been more suitable for the task at hand, but there’s always next time to try again. 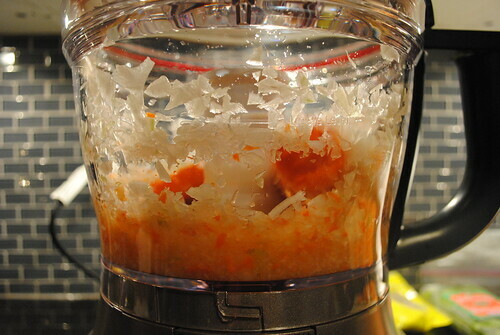 Despite my minced mishap, using the KitchenAid 13-Cup Food Processor could not have been easier. 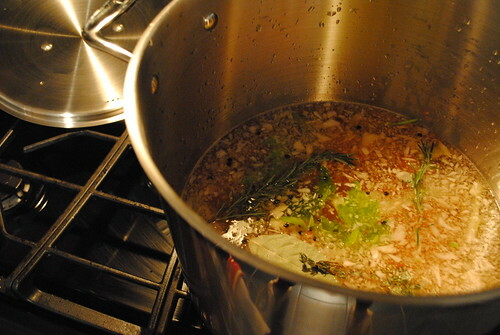 My soup stock was simmering in half the time it would have taken had I been chopping by hand. Plus, for an onion-sensitive girl like me, it works wonders for keeping my mascara firmly in place. Disclaimer: I was not paid nor contractually obligated to write about the KitchenAid 13-Cup Architect Series Food Processor. 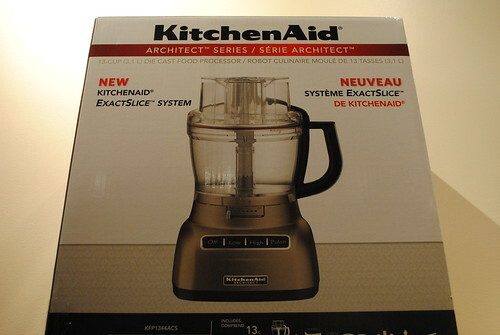 I did, however, receive my food processor at no cost from KitchenAid. That is one nice-looking machine! I need to find some time to try mine out! And you are right, the amount of ‘stuff’ that came with the food processor, along with its size, is totally intimidating! We have a tiny food processor that we use when cooking but increasingly we’re realizing it is WAY too small. We keep having to do batches when we have dinner parties. This looks like a great larger option for us! Thanks for the review. I purchase another one, I am in the food industry (spices and sea salt artisan) so I will have use for it every day.